How do I care for my stripes? Does vinyl hold up in the sun? These are common questions that I get asked often. There is no exact life span for vinyl. Durability ratings vary by type, brand, application, color, and even by location. 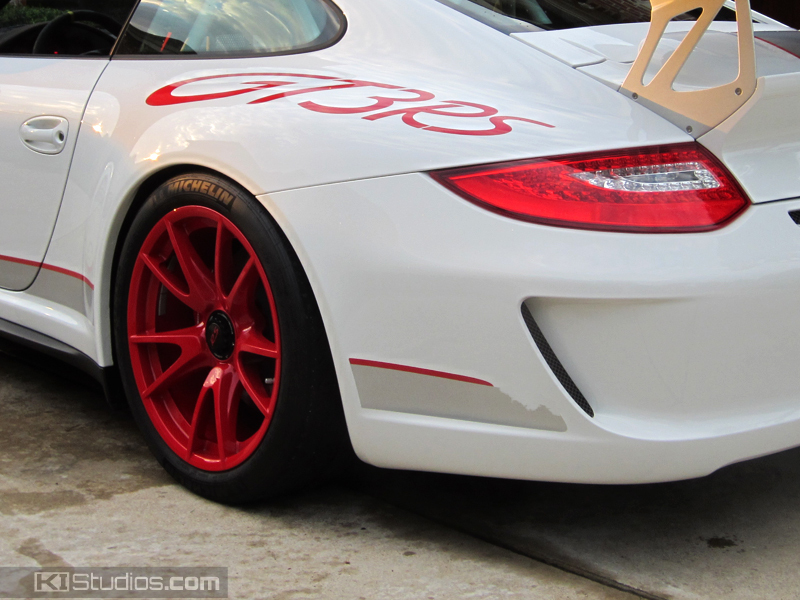 The biggest factor in determining how many years you will get out of your wrap or stripe kit, is how you care for it. 1) Use the right kind of vinyl. 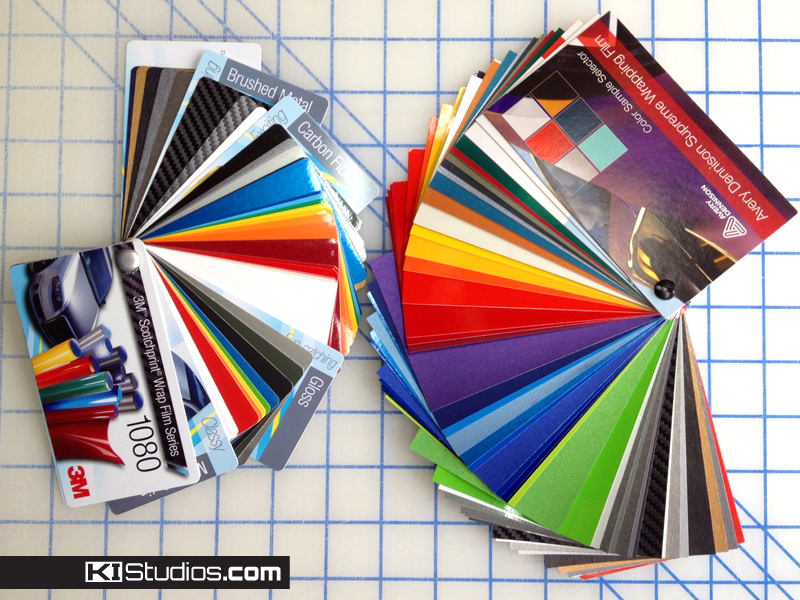 If you get your graphics from KI Studios, we have you covered. We only use High Performance Cast vinyl from reputable brands like 3M, Avery, and Oracal, for the best conformability at installation, and the longest durability rating available. 2) Prepare the vehicle surface. This is a crucial step in the installation process. If you have any wax or polish on the car, your vinyl will be sticking to the wax instead of the car. Clean the vehicles surface with a degreaser such as liquid dish soap, or rubbing alcohol to remove the wax before you begin. My cleaner of choice is to fill a spray bottle with 1/2 isopropyl alcohol, 1/2 water. I did a live installation demo on a Vorsteiner Lamborghini Aventador at the TAG Motorsports open house last week. People were constantly asking me what was in the spray bottles. Rubbing alcohol for cleaning. Plain ol water for installation! Most people think that the sun is the worst enemy when it comes to vinyl. The truth is; dirt and pollution fallout in the air tend to affect the wrap far before the sun becomes a factor. It is true that wraps and graphics in hotter climates have a rougher life. However, before the sun has any effect on your graphics, pollution fallout or dirt build up can have a negative effect on your graphics. Here in San Diego California, and surrounding areas, we have what vinyl manufactures call “acid dew” that can cause a rust-like effect on your vehicle wrap lamination. This is caused by corrosive pollution settling on your car and mixing with the morning moisture. The best way to avoid this, is to simply keep the car clean, or wash it regularly. I am a big fan of the California duster, and spray detailers such as Mothers or McGuiars instant detail spray. My car is always spotless because every morning I spend 5 minutes dusting it off with the California duster, and giving it a quick mist and wipe with a detail spray and a microfiber towel before I hit the road. 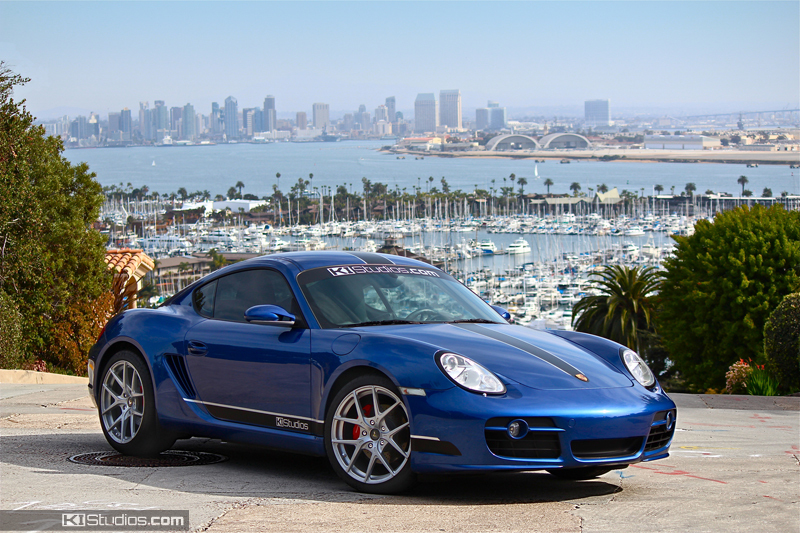 Here is my 987 Cayman S, one year since it’s last real wash.
For matte finish vinyl, waxing will produce less than desirable results depending on the color. I recommend using a spray detailer to keep them clean. You could also use a spray wax such as Mothers brand spray wax to get a little bit of a sheen. 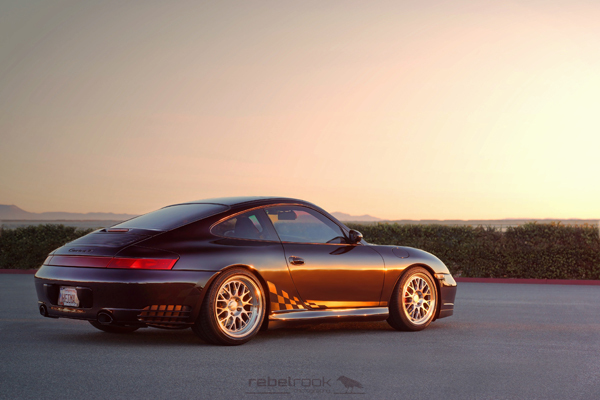 The Rebelrook 911 for example, has a KI Studios matte black checker stripe kit. The owner keeps the car spotless and likes to use spray wax to give the stripes a little sheen and make them more subtle. Half the time you don’t notice them, but once in a while the sun will hit just right. Check out @FingersCrossed4Morrow on Instagram for more photos. 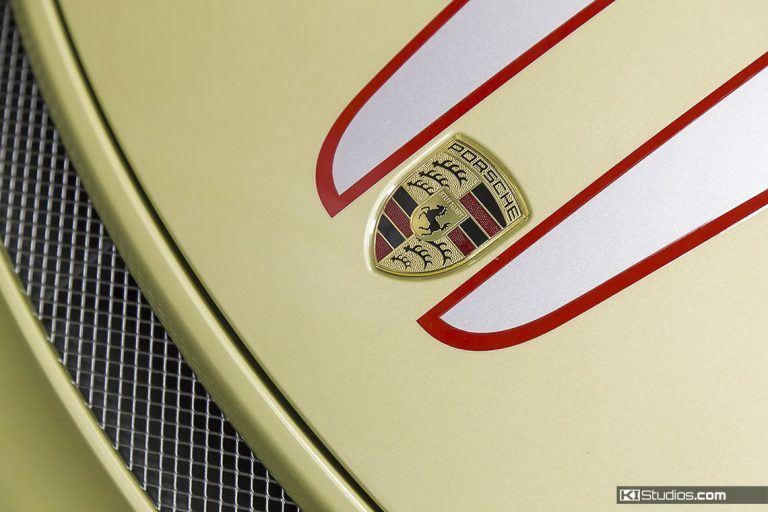 Pressure washers and drive through car washes can be bad for your graphics, as well as your paint. 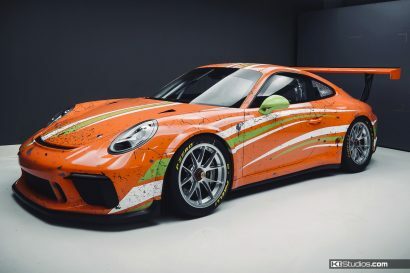 Vinyl graphics or not, the thought of taking your Porsche, Ferrari, Lamborghini, or any car you care about through a drive through car wash makes me cringe. Take it to a hand car wash, or use the daily 5 minute “keep it clean” method above. Enjoy a couple extra years of good looking graphics! If you ever want to remove your vinyl, follow my steam removal instruction video.